Callum Hudson-Odoi has just scored a gorgeous goal for Chelsea, less than 24 hours since news broke that he had submitted a transfer request. 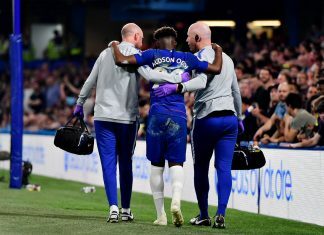 Hudson-Odoi may well be playing his final game for Chelsea out on the Stamford Bridge turf tonight, but the fans in attendance will be left with fond memories if he does sign for Bayern Munich this month. After a beautifully weighted pass over the Sheffield Wednesday back-line, Hudson-Odoi brought the ball down perfectly, cut inside the defender before firing into the back of the net with his left foot.